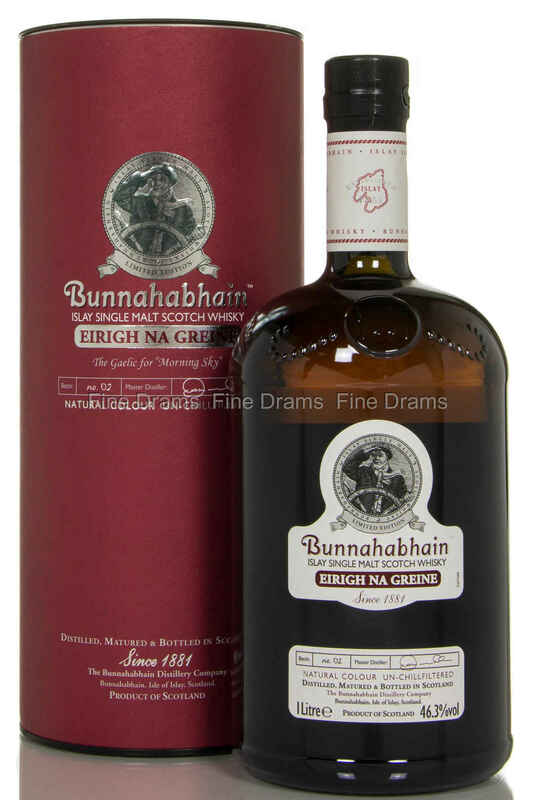 Eirgh Na Greine, meaning “Morning Sky” in Gaelic, is an intriguing whisky. It is comprised, partially, of red wine matured whiskies, imparting a unique set of flavours to the classic character of Bunnahabhain. This whisky in un-chillfiltered and bottled at 46.3% ABV.